Gordon Logan grew up in a small town in South Carolina. When he entered MIT in Cambridge, Massachusetts, he quickly learned he was near the bottom of the student body when it came to both his high school education and preparation to earn an engineering degree. With the help of fraternity brothers, grad student tutors, and the self-discipline Logan learned in his math and engineering classes, he made sure his early MIT years were the last time in his life he was not fully prepared to address his challenges. While Logan may have entered MIT academically challenged, he left the school as a confident man. He earned this confidence through the combination of self-discipline and a structured approach to problem solving. These two traits—self-confidence and discipline—worked for Logan as he launched Sport Clips in 1993. The military drafted Logan six months after graduation, and he wound up in Texas for Officer’s Training School at Lackland Air Force base in San Antonio. He went on to become a pilot flying C130s. After serving his hitch, he found himself back in Texas as a consultant in the Houston office of Price Waterhouse Coopers, but not before getting an MBA on the GI Bill from the Wharton School of Business at the University of Pennsylvania. Logan and a fraternity brother, who was a banker, had begun exploring ownership of franchise businesses during his five years at Price Waterhouse Coopers. Logan’s brother was in the restaurant business as a KFC franchisee, and after reading an article in the Wall Street Journal about franchising in hair care, Logan made the decision to open a shop and become a franchisee. A year later, the company filed for Chapter 11. “I learned a lot about how to fend for myself and ended up on the creditors committee during the Chapter 11,” said Logan. As a result, he got to see things not only from a franchisee standpoint, but from the other side as well. Eventually, that system was sold several times and Logan and another franchisee bought it. “That is how I became a franchisor,” said Logan. Using his disciplined approach, Logan opened the first prototype store in Austin in June, 1993, and operated for two and a half years before starting to franchise in late 1995. “When we developed Sport Clips, we already had the vehicle in place and I knew that’s what I wanted to do,” said Logan. Before deciding to work exclusively in the men’s and boy’s sector, Logan had operated a full service salon where the clientele was two-thirds women and one-third men. As he became more interested in the franchising concept, he began to look at which segments were being served and where the least competition was. Traditional barbershops were starting to decline, barbers had an average age of 59 and by the time Sport Clips opened, there was only one remaining barber school in Austin. In analyzing the competition, Logan recognized his biggest challenge was the family hair salon. Deciding he did not want to go head-to-head with established brands, he decided to focus on a concept for men and boys. Supporting his decision were the facts that training stylists to cut only men’s hair would require less investment, and stores would only need about $3,000 worth of inventory in hair-care products, versus a $15,000 to $20,000 investment in inventory for a traditional salon. Logan seized upon sports as a hook to market the brand. Logan’s strategy was to stay away from the national press and, when ready, expand regionally. He planned to go from local to regional to national as quickly as he could in order to be first to market. He knew if knockoffs came along, they would be playing catch-up. Seeing another franchise system fail taught Logan how not to approach franchising. One of the first lessons Logan learned was not to sell franchises to just anyone who walked in the door, and the other was not staying geographically concentrated. From a single location in Austin, Sport Clips grew slowly, adding more stores in Austin, then Houston, San Antonio and Dallas. Logan opened 50 stores over that first five-year period. The geographic concentration in Texas allowed for the synergy of operational support and local marketing before expanding the brand out of state. By staying in his own backyard during those early years, Logan supported stores by training franchisees and their stylists and marketing the new Sport Clips brand. Area developers pay an upfront fee for the right to a territory, which can be a state or a major metro area like Dallas or Houston. Area developers then have the right to sell franchises. Sport Clips sets a rollout schedule for the region and trains the area development team, and then the area developers recruit and train franchisees. Sport Clips and the area developer split franchise fees and royalties. Instead of overseeing all the franchise owners, Logan’s corporate team was now responsible for the 25 area developers. “That really accelerated our growth,” said Logan, “I had 25 very qualified franchise sales people out there who had people working for them supporting the franchisees, so I didn’t have a whole lot of employees scattered all over the country.” Since then, Logan has bought back about a dozen territories. If a model growth curve looks like a hockey stick, Logan had one. “That program enabled us to accelerate our growth and truly become a national brand in a reasonably short period of time.” By 2007, Sport Clips had 500 stores and had expanded into Canada. 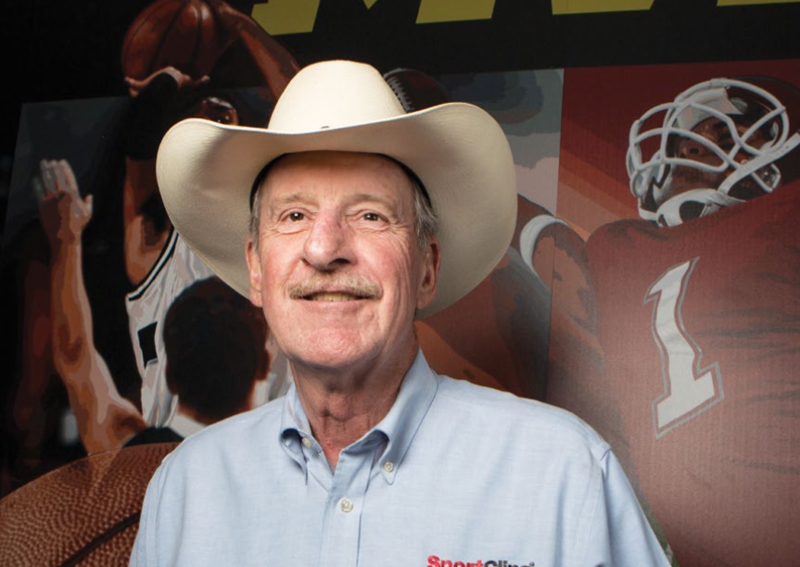 In nearly 25 years of operating Sport Clips, Logan has learned a great deal about what works and what doesn’t when awarding franchises. The process has several layers: The first is to look at their financial background, go through a preliminary application and take a personality profile. Next are in-person interviews with the operations team and a lengthy questionnaire and application packet. With preliminary approval, the potential franchisee comes to Austin for a discovery day of store visits and dinner with Logan. Logan is looking for a fit in values and culture, “Life is too short to be in business with people you don’t like.” He accepts about two-thirds of his applicants. Once approved, franchisees come back for a week of intensive training, and then go back into their local area. Franchisees follow a workbook program for six months ahead of a store opening, completing a sequence of weekly activities to prepare to open. Sport Clips has support staff on the ground to make sure everyone is trained and working. About 200 field staff members support their 1,700 stores. Sport Clips is opening about 150 stores a year, and Logan expects there will be over 3,000 stores in the next 10 years, nearly double where they are today. In the conference room at the Sport Clips headquarters, there’s a letter from Coach Lou Holtz granting Logan permission to use the value-based training materials he created for football players. It’s called the “Do Right” program and the values are: Do Your Best. Do What’s Right. Treat Others the Way They Want to Be Treated. Another lesson Logan has learned is that, though building a corporate culture takes time, it is critical to the long-term success of the business. It also attracts and retains the right people. “That’s even more important today than it was 25 years ago,” said Logan. “A lot of millennials like to be associated with a company they can feel good about, and we’re an organization that gives back,” he said. I have had the honor and privilege to work with Gordon Logan over the past five years and he is a unique individual… caring, supportive, and just plain good guy! Not all franchise companies are created equal, but Sport Clips is an amazing franchise company and amazing business opportunity.